Students will have fun trying to locate each other's lucky cereal pieces with this FREE coordinate grid game. 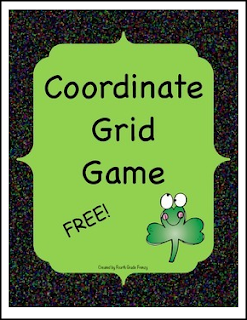 This free game includes a game board and recording sheet. Simply print and play like a Battleship game. Lucky cereal pieces are suggested for hiding on the grids, but any small manipulatives will work. Directions are included.